As part of the 2015 POPSUGAR Insights Food study, we surveyed female visitors to POPSUGAR to better understand their grocery-shopping behaviors. 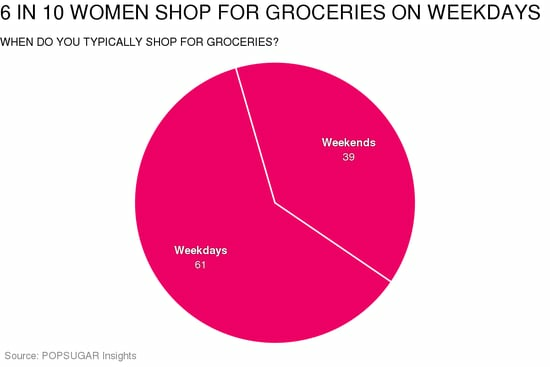 Overall, 61% of women typically shop for groceries on weekdays, and 39% of women said they typically shop on weekends. In terms of specific times of day, 35% of women typically shop in the afternoon, 34% shop in the evening, and 31% choose to shop during the morning.